Looking for new products that can really enhance the efficiency and value of your home? Here at Home Improvement Source we highlight some of the top rated products on the market today. Transform often overlooked spaces with simple, budget-friendly solutions to turn your house into a beautiful home. Take up these common but quick and effective home improvement projects to give your home a mini makeover. Your home is guaranteed to look better. Storage spaces, how they’re arranged and how they look are often overlooked. Utilize that unused wall space or shelves with no dishes on them to house your pots and pans, spice racks and dishes so they are easily accessible. Dress up those plain old shelves with uniquely decorative brackets to show off your own personality within the fixtures. You can also take your kitchenware into consideration and base your storage space motif on the designs of your dishes and plates. If you frequently entertain guests, friends, and family at your house, ponder for a moment the view of what a wine rack would look like next to the cabinetry. There are many different ways to liven up your kitchen cabinets. One option is to repaint them. With a good sanding and a good coat of new paint, those cabinets will look like new. Another option, especially if your current kitchen cabinets are drab and dull, is to add moldings to them. Just as much as clothes need the proper accessory to make it look fresh and interesting, your cabinets could use all the extra curves and edges to give it that extra kick of dimension and color. Of course, it won’t be an easy task. Make sure to size up the project and consider how the process can be done carefully. Other than that this DIY project will be a piece of cake. There’s a popular saying that first impressions last. Take that into consideration and embellish the front entrance of your home. You can even go the extra mile and embellish all the door entrances of your house. Millwork adds rich and classic character to rooms throughout your home and gives a regal vibe to the entire place. It would be a good idea to put that kind of feel in your entryways too. Frame your door’s surroundings with mill-work, and paint it to match your exterior. If millwork isn’t working for you, you can try to pull elements and concepts from the planning you've done inside and bring that influence for a more sophisticated look outdoors. It will give your house’s sense of style an air of consistency and balance, which is always pleasing to the eyes. 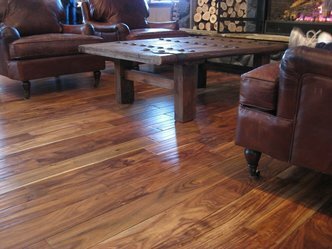 The versatility and comfortable feeling of having wood inside is incomparable to the cold and dull materials such as tile, but with constant foot traffic and how it brings dust with it; dirt is usually likely to leave it appearing dull, distressed, and overall displeasing to look at. Restore your floor’s shine factor by polishing it with a cleaner that is specifically designed for cleaning hardwood floors. The polishing for wood floors should happen at least once a year or if you're really concerned, every six months. It all depends on the regular wear and tear that it experiences. No money to splurge on expensive polishing products? Try mixing a cup of vinegar in a bucket of hot water. This mixture is said to be used by 5-star hotels to keep their floors looking shiny and new. The best thing about it? It works on all types of flooring, but especially on hardwood. Give a dated brick fireplace a modern makeover with a fresh coat of paint. Before starting, thoroughly clean the fireplace to loosen grime and soot. Apply a stain-blocking primer to clean the fireplace before you paint to help cover soot stains. Choose a high-gloss paint to give your fireplace a beautiful look that lasts. If you have an area on top of your fireplace, give it that homey, cozy, sentimental touch by placing family photos, memorabilia from family trips, and other special items to the family on it. It will make the space seem all the more personal and nice to stay in with the family around you. Don't want to use the wood burning fireplace? Try an electric fireplace instead. As one of the first rooms guests see, the entryway is tasked with the most important task of making a first and lasting impression to all those who enter your house. Make sure to keep it tidy and clean. Outfit your entryway with function and flair using a do-it-all storage system. Enlist the help of furniture to perform the double duty as a bench and a shoe caddy. A combination of shoe solutions – such as wall hooks, lockers, cubby holes, or a bench – will help your entryway stay organized and accessible. It will also give your home a very welcoming opening remark, room-wise. Beautiful light fixtures can go a long way in energizing or soothing a place, and trendy yet simple designs can ease eye-intensive tasks. Successfully bring light and more life to a room by creating layers of light with task, accent, and ambient lighting. A uniquely styled pendant or ornate chandelier quickly enhances a room’s ambiance. Whimsical pieces such as chandeliers and stained glass light fixtures above strategic places such as kitchen sinks or doorways can make a good enough statement and provide a practical source of light to the area. One size doesn’t fit all when it comes to closet storage and organization systems. Maximize your closet capacity and cut the clutter with easy, affordable ideas that work for your routine and your stuff. Before rushing off to the store for a new closet organizers, measure your closet space, take an inventory of what’s being stored, and consider your current and future lifestyle. Also consider packing cubes for not only organizing your luggage or backpack for traveling, but also for home storage. 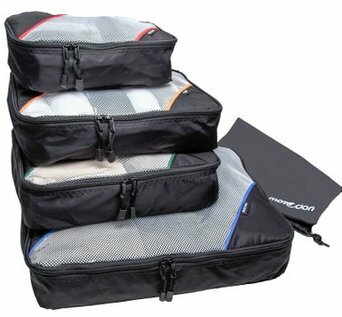 These great little organizers are light weight and durable. The see through mesh cover allows you to easily view which items and are in each bag. Some companies have each bag color coded too which makes selecting the right one a simple process. You could tell your spouse or kids to bring you the green, yellow, red or blue one. Before starting your project, make sure your under-sink space is large enough to accommodate a water filter system. If you have a more modern style refrigerator, then you can buy these great charcoal filters. They need to be replaced every 6 months or so but they help remove a lot of the contaminates, especially if you live in a county where the water quality is questionable at best. If space is scarce yet greatly in demand in your house or abode, there’s no reason to panic. Boost your blanks walls by mixing style with storage capacity. Use modular shelving units and place various books, magazines, and display pieces to add a splash of life and color to the white shelves and wall. The cubby-style shelving is a perfect fit for baskets, boxes, and bins to keep storage accessible yet out of sight. Further improve your first impression and make sure that it lasts by polishing the look of your entryway with small accents and accessories – such as address numbers, outdoor lighting, and a letter box – that give of a classic feel but packs a big punch. Entryway details can make a lasting impression on guests and give your exterior a distinct personality. Matching finishes on accessories will give your entryway a classic look, while mix-and-match accessories, such as vintage or up-cycled fixtures, will create a one-of-a-kind aesthetic. Other low cost ways of making an entryway or other part of the house look great without having to drop a ton of money is by a simple paint job. Even inside the home you can get that high quality look by just doing something simple like painting., check out some ideas over at http://airlesspaintsprayers.org﻿. You'll quickly see that it's easy to create a whole new impression with new paint colors that can make any property look great without spending a fortune. When was the last time your carpets were cleaned? With a professional carpet cleaning, you can revive your carpets and improve your family’s health for just a little bit of your well-earned money. 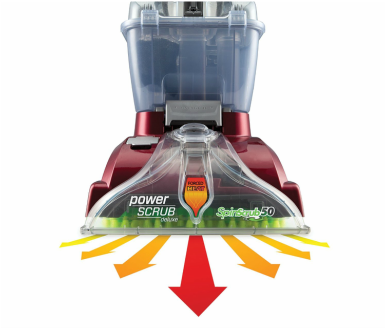 Weekly vacuuming removes topical dust, dirt, or hair, so it's really important to have the right type of brand (shark vs dyson vacuum comparison article that covers these two big companies). A specialized rug and carpet service business will remove deep stains, and things that cause allergic reactions (like dust mites and pollen). Do you own carpet and live in an environment where humidity is present? Carpet cleaning assists in preventing nasty mold or mildew buildup which is also harmful to peoples health. A kitchen back splash adds an element of character to a kitchen and it also prevents damage to walls from splashes and spills. There is a couple of types of back splashes if your interested in learning more. There is the beaded-board back splashes which has a unique and fresh interesting look, as well as the more popular tile back splashes which are easy to install. Watch a few videos on Youtube to learn exactly how to install, but it can easily be done without the help of a professional. Trimwork and crown molding are the accessories of walls, doors, and windows. Whether you’re replacing old trim or starting fresh, you can transform a room with trim in a weekend. Give your home a complete makeover with a look for less. Affordable, off-the-rack moldings are usually available in any local home improvement center. For a classic custom look, layer pieces of crown molding around entryways and ceilings. Give your windows a custom look at a cheaper price by resorting to DIY window treatments. With a mini-blind and a midweight upholstery fabric, you can create a charming roman shade. Practicality-wise, it will successfully block out the sun from your eyes. Aesthetics-wise, it can boost your color scheme and give color to any dull room. Every work of art deserves a good introduction. Your house should have a nice introductory feature as well. A landscaped walkway is a small way to deliver a big welcome. It will also keep your home looking fresh, lively, and inviting. Trees and plants look good in any type of home not just the modern ones you see within magazines. They work inside and out to make a space that is comfortable and friendly to the environment. Not only that, but plants and trees also help reduce harmful gases such as Co2. Create natural beauty and texture along your front walkway with an assortment of potted plants. This could also serve as a wonderful accent to your lawn. Seventeen: I’m Singing in the… Shower? Everyone wants their bathrooms to be aesthetically pleasing. Not a lot of people pay attention to the little things inside their bathrooms. Why not start with replacing your shower head? You’ll feel as if you woke up on the right side of the bed every day if you start each day with the perfect shower experience. A handheld or sliding bar shower head is easy to adjust for different heights, making it perfect for every family member – pets included. Unused or rarely used shelving furniture like a hutch, armoir, or a bookcase can quickly transform into a beverage station with a little paint, creativity, and imagination. You can store bottles and beverage glasses on open shelves for easy access while entertaining. You can also free up the shelf space by outfitting the underside of a shelf with hanging storage for wine glasses. 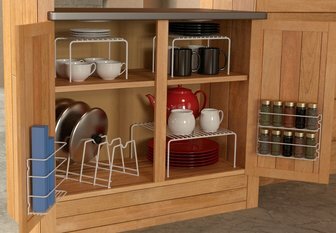 Use drawers and cabinets below to store serving trays, utensils, and kitchen linens. Create a dedicated zone to serve as a central area for often-used games, movies, and media. A cabinet big enough to hold enough CDs and leisure materials – like a media cabinet—can keep family members from having to waste so much of their fun time because they still need to look for the proper game-night accessories. Divided shelves and a combination of shallow baskets, bins, and photo organizers help the space stay organized and easy to manage. You can even put boxes and DVD spines outward so you can have your intended leisure activity presented to you at a glance. The yellow brick road need not be yellow… or any other color. What’s important here is that you place an outdoor path on your backyard or garden. This simple accent has the ability to inject warmth and coziness while still giving the space and freedom of the outdoors. Irregular-shaped flagstones or interestingly-colored cobblestones can create a casual, welcoming atmosphere. Check out the video beside here to learn how you can create a simple yet functional flagstone walkway at your house without having to hire someone to do it for you. This step-by-step guide also shows which tools you'll need to get the job done. Get a headstart on laundry day through managing your ritual to sort clothing quickly and effectively. A laundry sorter that is composed of 3 bags naturally lends itself to new organizational skills that maybe didn't exist as someones daily routine. The clear and simple design has labels that are easy to read and assists anyone in placing items in the correct bin, reducing much needed time sorting clothes on wash-day. You have just a small space for this? Here’s a small-space solution: Opt for laundry bags that can hang from over-the-door hooks rather than hampers that take up floor or shelf space. Illuminate your deck stairs, your bushes, your lawn, and even your entryway with low-voltage lighting that will provide long-lasting style and efficiency. Deck and outdoor lighting adds safety and beauty to alfresco spaces and allows you to enjoy time outside well past sunset. It also gives a cooling effect—the perfect way to cap of a perfect day. Accessible appliances that are typically small in size often lend a big hand within any type of kitchen -- especially during weeknights that are busy. Efficiency has also come a long way over the past few years with new technology built into appliances, such as a coffee machine, microwave, dishwasher, toaster, juicer, or espresso/cappuccino machine. Not only is this efficient, it’s also a great space saver, leaving you with more surface space to work with. The categories below are a good first step to learning about how this site works and the various topics that we cover (including reviews, best of, and information type articles. We hope you find the articles informative and useful in your search to improve you home. You can also see more general type articles related to home living, renovation, improvements, etc. here on our blog. Please let us know if you'd like additional topics covered by reaching out to us on our Contact Us page. Drills can be used for a variety of different purposes including boring holes or simply attaching items together using fasteners. The different types of applications include working with wood, metal or the DIYers looking to take on various projects around the home. While there are many different types of drills, we'll be covering mainly the corded and cordless versions as they are compact, powerful and easy to take with you around the house or areas where you'll be working most. Impact Driver vs Drill - Which is Better? The garage is the storage space for many of the tools that we highlight here on this site. But there are also some unique garage only type of equipment that is essential for any home. These range from garage door openers to storage solutions. Having a manicured lawn or trees that stands out among the rest in the neighborhood doesn't happen by accident. Including in this list is lawnmowers, edgers, saws and other tools that help shape the landscape. The backyard can be one of the most frequented places around the home. Many people decorate up their backyards so that they are essentially outdoor living areas.